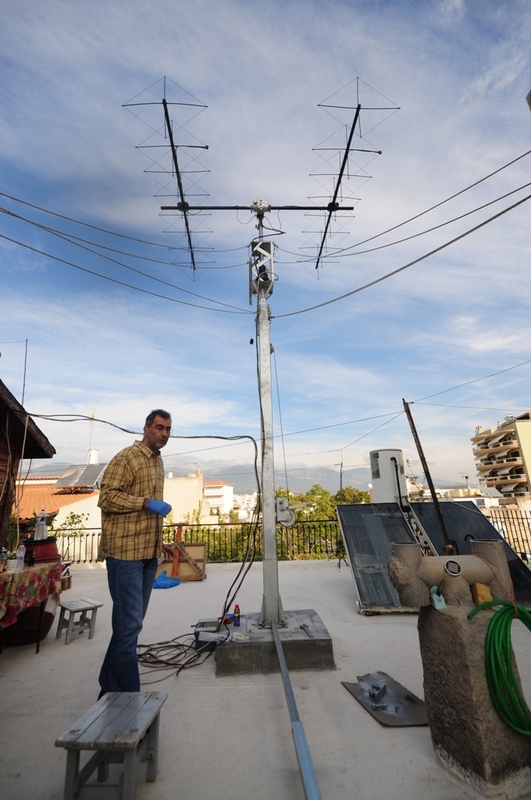 Nick SV1EIG lives in Menidi, (in the wider Athens metropolitan area). 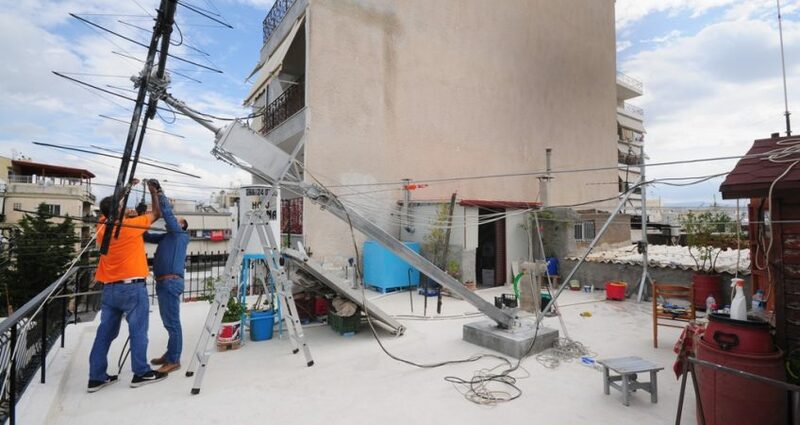 His home is a 2-story building, surrounded by taller 5-stories buildings. 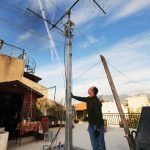 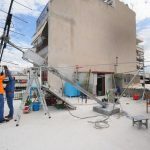 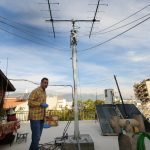 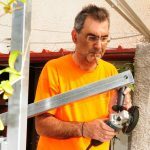 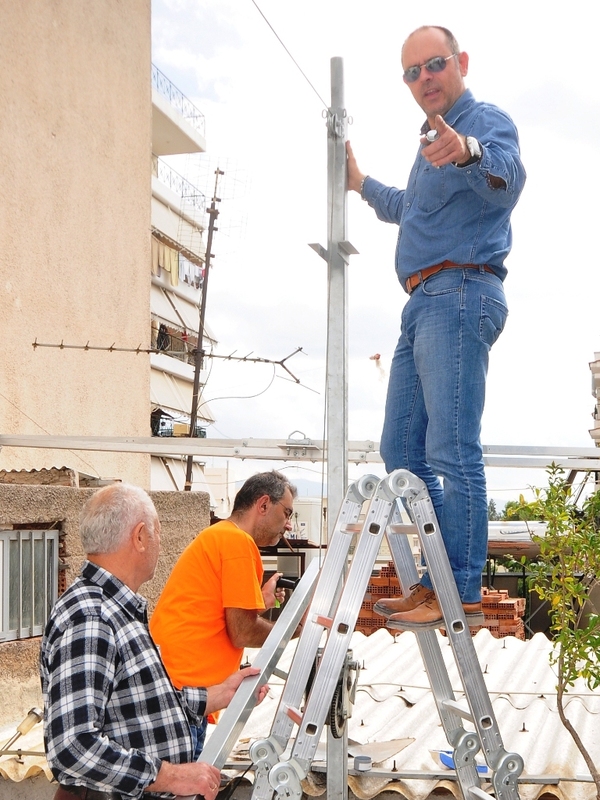 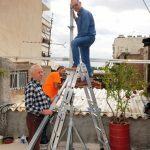 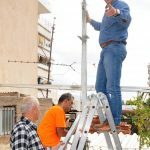 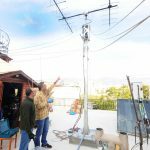 He had a 9m light duty fixed tower, but he wanted something more flexible and higher, so he decided to install an 11m GLV-04 Heavy Duty Telescopic mast, with a side-tilt arm and a rotor cage to support his antennas. 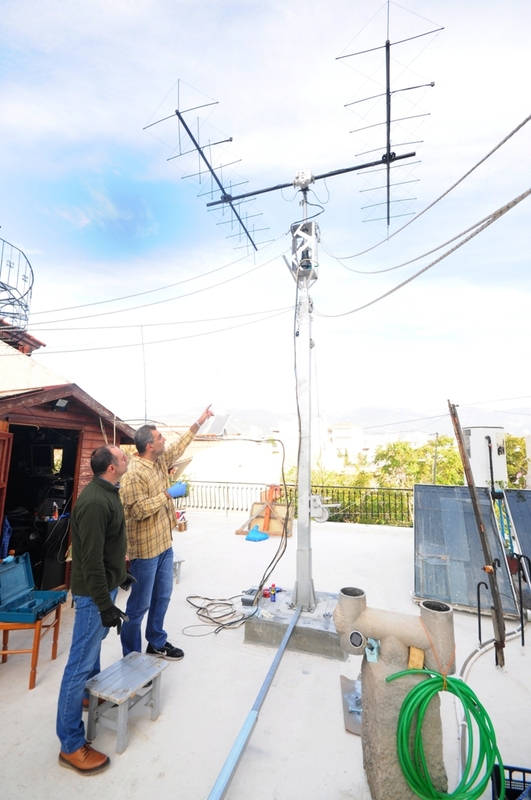 Side tilt arm was located 4m far away of the mast base. 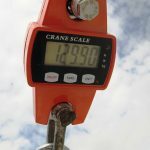 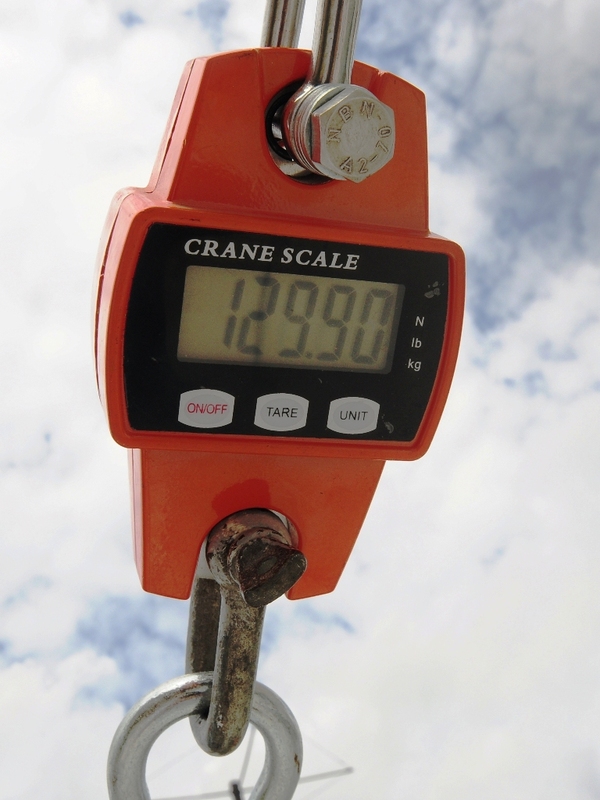 After alignment and leveling and prior of final installation, a digital scale was used to calculate the tension on the wire rope. 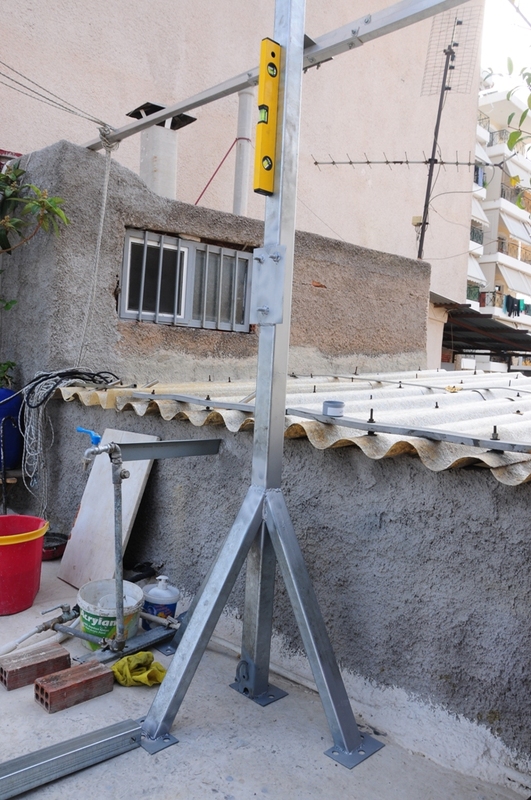 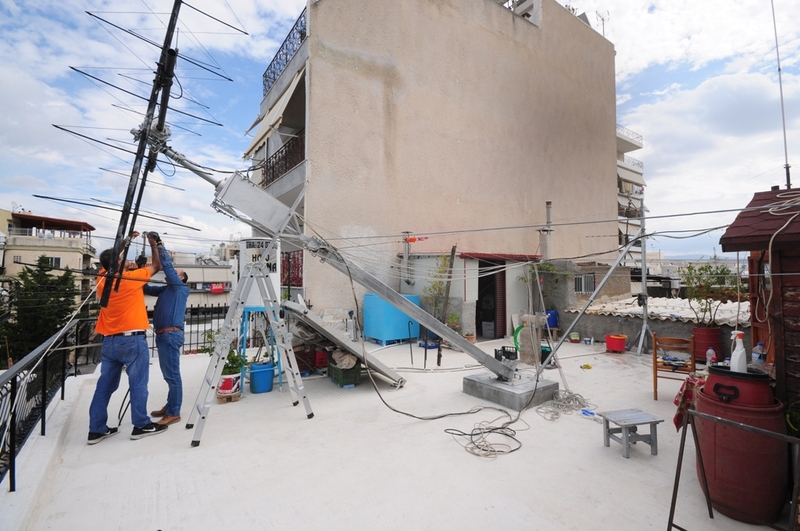 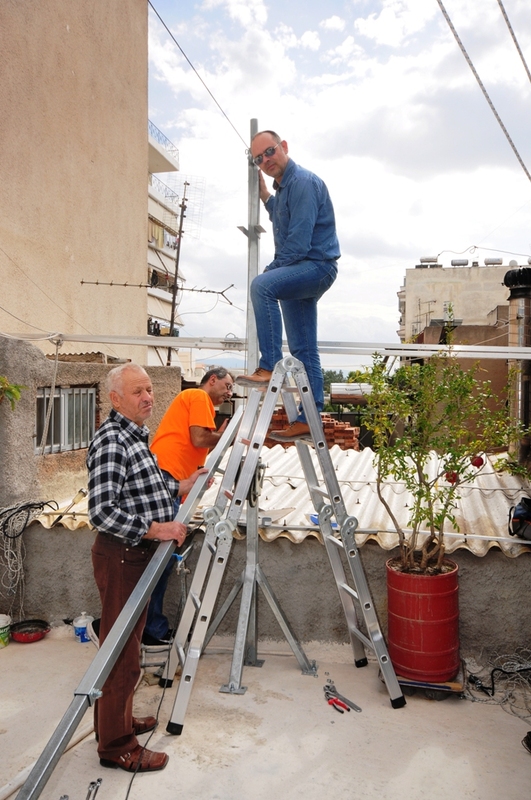 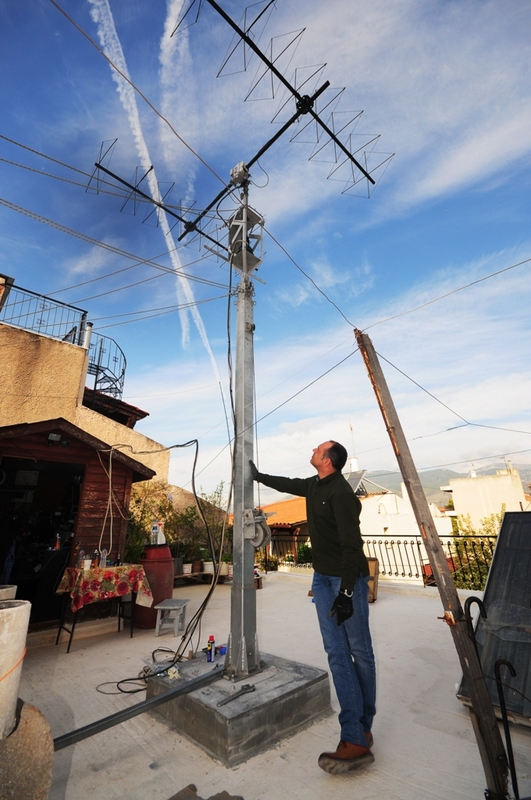 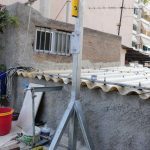 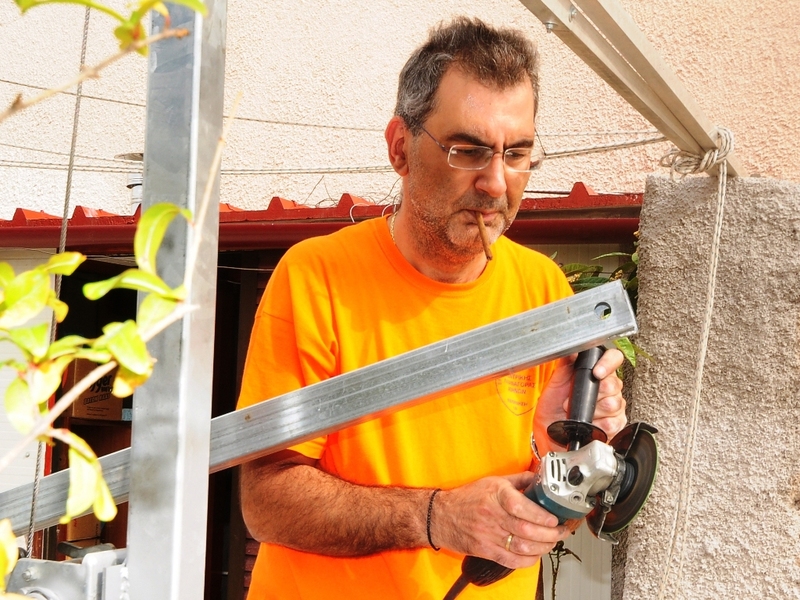 Marios, SV1QEC helped a lot during installation and was very impressed with the functionality of the telescopic mast.